It's hard to shop for foam mattresses without hearing about the Koala. 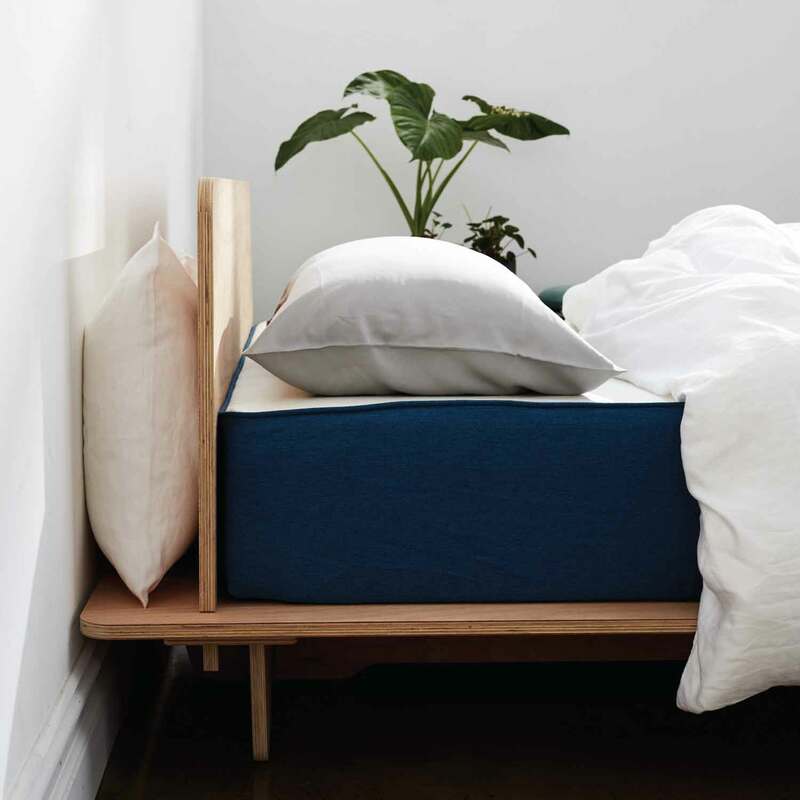 As one of the top-rated designs, it's helping sleepers across Australia snooze better than ever. 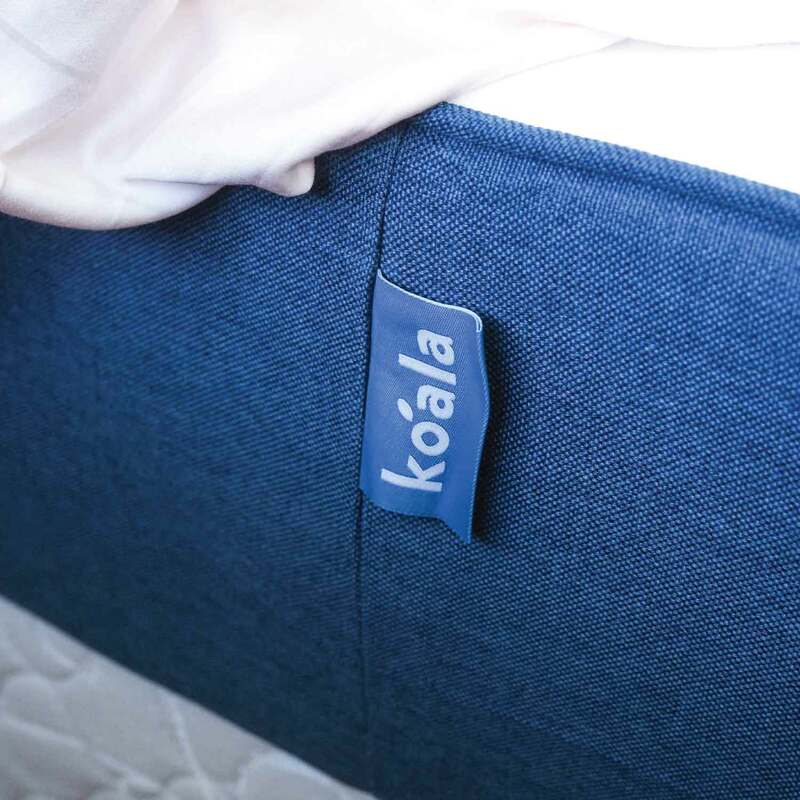 The Koala mattress is designed to be "not too firm, not too soft" and features a unique open-cell foam layer. Made in Australia, it's designed for Aussies and has been awarded for eco-friendly manufacturing. 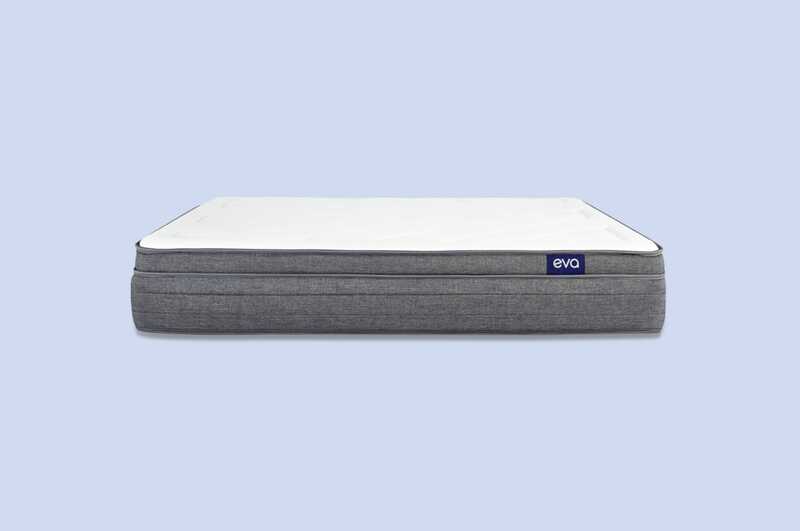 Our review of the Koala mattress found sleepers have tested (and loved) the Koala throughout every season, so you'll stay cozy in winter and cool in summer. Plus, Koala partners with the WWF and donates a percentage of every mattress to koala preservation. This comprehensive review is here to help you get a feel for the Koala mattress. In it, you'll find information from real customers about the feel, firmness, sleep quality, materials, and more. In all reviews, we work hard to share a range of customer opinions and use unbiased data. By the end, you'll know if this mattress is the right choice for your sleeping preferences. How does the Koala mattress feel to sleep on? Snoozing on the Koala is a dream come true for most customers. To achieve a balanced feel, the company created two custom foams. The top comfort layer has a lush feel, while the bottom layer provides support. On the standard firmness rating scale of 1 to 10, the Koala sits slightly above a 6. This is a bit harder than the average sleeper's ideal firmness. However, the company says some return the Koala because it's too firm, others because it's too soft. Koala's unique foam and firmness makes it a good pick for a variety of sleeping positions. The best way to find out if it's right for you is to test it during the trial period. Many back sleepers say they wake up feeling refreshed and without pain. Even stomach sleepers enjoy the soft yet firm feel. We did find a few side sleepers who said the mattress was too firm. However, individual comfort level often depends on weight. 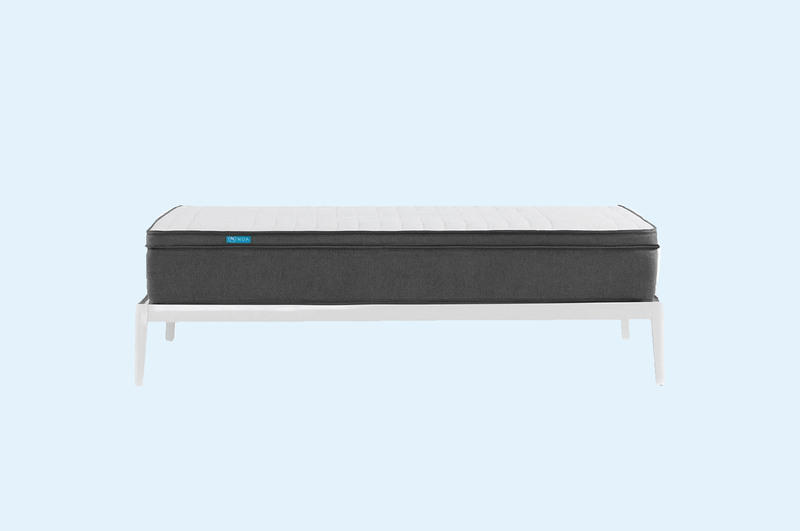 Smaller side and stomach sleepers may find it too hard, especially if they're used to a spring mattress. That being said, this mattress is loved by side, back, and stomach sleepers. 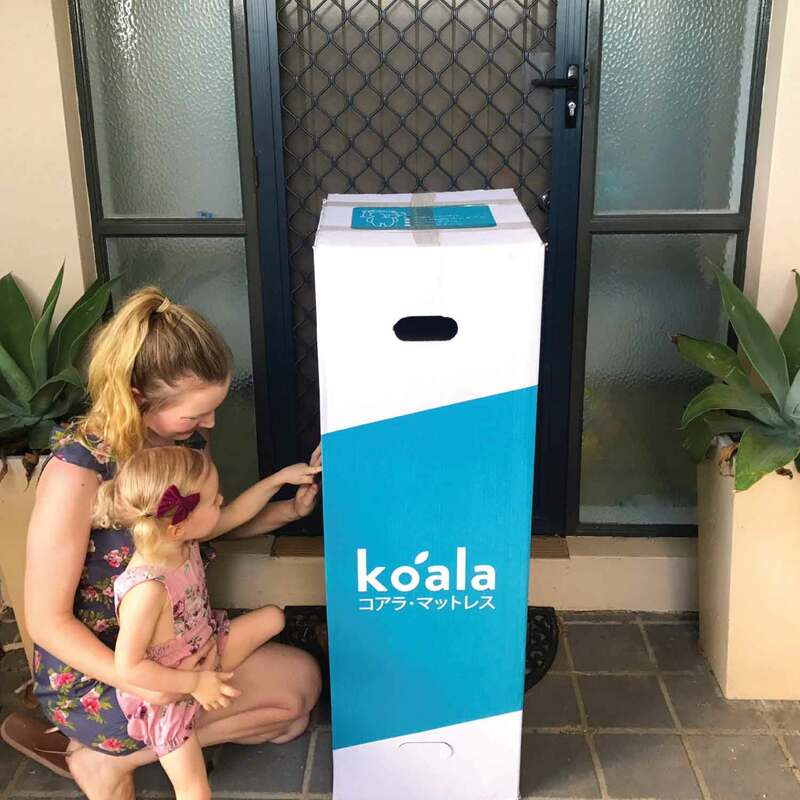 "The Koala mattress is different, so it may feel firm at first if you are used to a softer sleep, but it really is a fabulous mattress once you adjust. It only took us ....no time! Love it. Will buy another for our guest bed. "- Jillian E.
Sitting on the edge of the Koala bed, sleepers sink several centimeters. The layers easily compress under direct weight because there are no springs or hard memory foam. While you sink on the edge, don't worry about sinking while you sleep. The mattress distributes weight evenly once you lay down. 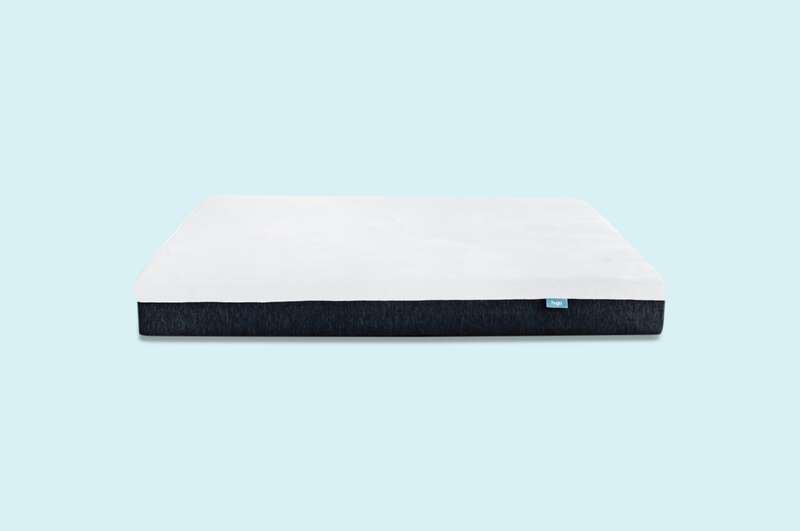 Similar to other foam mattresses, the Koala has zero partner disturbance. Foam absorbs movement and does not allow partners to feel the other tossing and turning. Koala even passes the standard wine glass test (just be careful if you try it out on your own mattress). What is the Koala mattress made of? 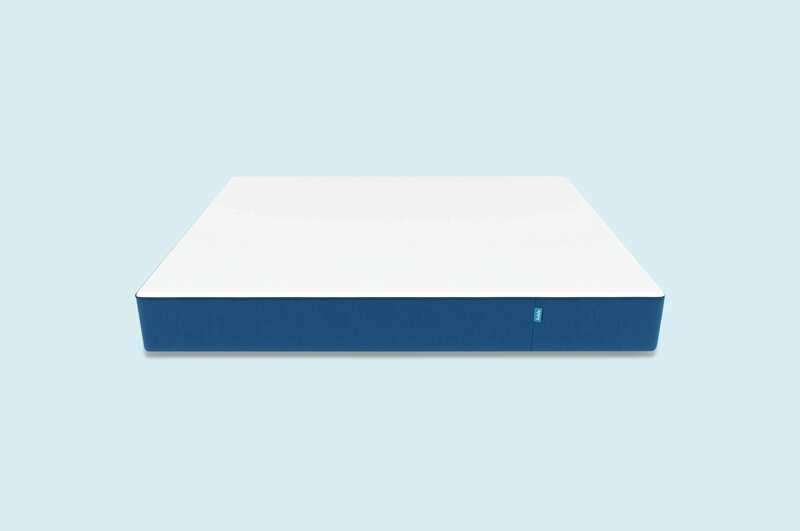 Two specialised foam layers help set the Koala apart from competitors. Unsatisfied with memory foam and latex, Koala designed new materials for optimum comfort and breathability. The top layer is the patented Kloudcell foam—a poly blend that acts like memory foam and latex. It's designed to be springy and breathable, providing cushion and coolness to sleepers. The second layer is a high-density eco-foam with 5 level zoning. This is what supports sleepers and keeps shoulders, spines, and hips aligned. Both layers work together to meet the needs of sleepers—and keep you sweat-free during the summer. Protecting these foam layers is a breathable, soft and anti-microbial cover made from a sustainably produced TENCEL blend. 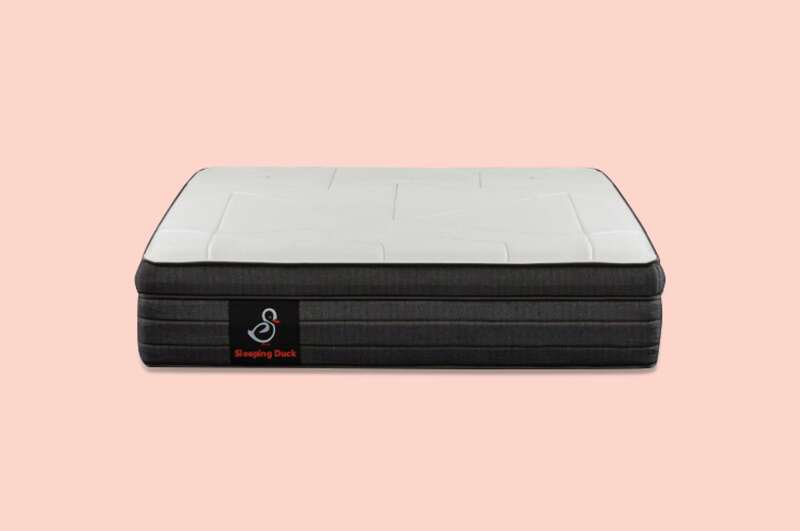 It's a similar design to competing foam mattresses, with a plush white top and sturdy side panels. The cover can be easily removed and washed, so your mattress looks fresh for years. Weighing in at 31 kilograms (for a queen size), the Koala is on par with other all-foam mattresses. It's lighter than most hybrid designs, which is great if you're moving the mattress by yourself. While it ships compressed in a box, we do recommend asking a friend or partner for help moving it into the bedroom. Once it's unpackaged, it will be heavier and harder to move. Make sure to position it as much as you can before unwrapping. After unpacking a Koala mattress, it takes only a few moments to fully expand. Once it's complete, all sizes should reach 25 centimetres high. This is slightly less than the average thickness in our index, but hefty hybrid designs skew this number. 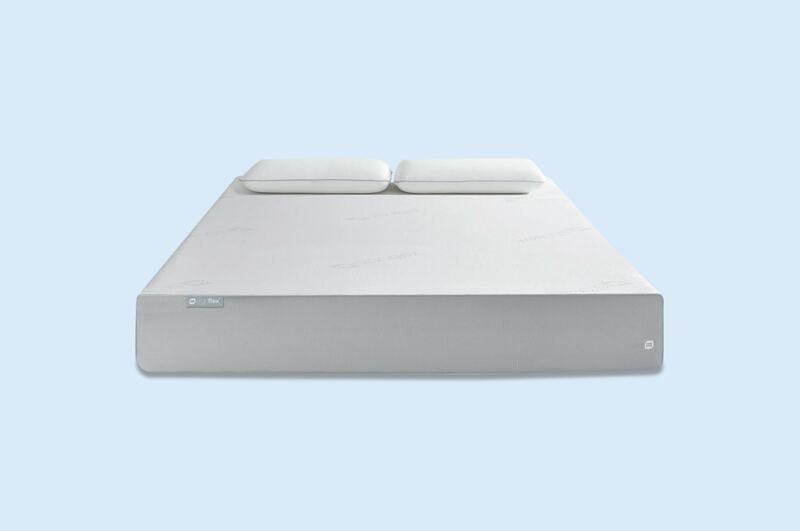 For all-foam mattresses, 25 centimetres is enough to support and comfort sleepers. If you do notice dips or indents after expansion, it's best to contact customer service. How much does a Koala mattress cost? Relative to high-end memory foam models, the Koala is great value. It's easy to shop for online and try at-home. (And it doesn't have pushy mattress sale teams). This is a major reason why online mattress brands have become so popular. Relative to online competitors, the Koala mattress price is slightly above average for the single and double sizes. Interestingly enough, it's lower than average for the queen and king size. If you're worried about purchasing or returning the Koala, don't be. The customer service team has an excellent reputation and will answer questions along the way. All in all, the Koala is one of the best online mattress options. Not only is it a customer favourite, but the company offers nice perks with every purchase. All sizes ship free across Australia and come with a 10-year full warranty. You have 120 nights to try the Koala at home. If it's not the best sleep of your life, you can return it during that time for a full refund. Koala does their best to donate or recycle every returned mattress. If you keep the Koala around, make sure it's supported by a standard bed frame, slat base, platform, or firm surface. Who is the Koala mattress best for? Not every mattress is the best choice for your sleeping habits. Which is why we searched real koala mattress reviews to see which sleepers think the Koala is perfect. Overall, back sleepers were happiest, with stomach and side sleepers close behind. If you're searching for a unique foam mattress that lets you finally get a good night's rest, the Koala mattress is a solid choice. The fantastic support team also makes it easy to return (although you probably won't want to).